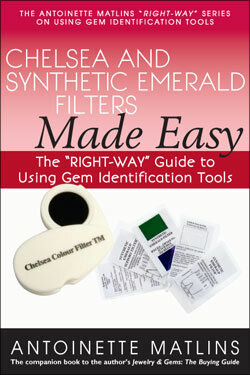 Explains in non-technical terms how to use the Chelsea filter and synthetic emerald filter to identify diamonds and colored gems, and how to separate natural gems from imitations, treated gemstones, synthetics and look-alikes. The approach is direct and practical, and its style is easy to understand. 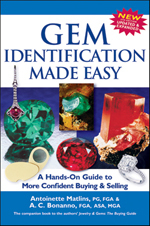 With this highly accessible guide booklet, anyone can begin to master gem identification using the Chelsea filter and synthetic emerald filter.